I picked up my Nexus S yesterday at my local Fedex office here in Berlin and I've been attached to it ever since. There are plenty of unboxing videos and hands-on articles floating around the net already, since the phone has been out since last Thursday. Instead, I'll be giving some of my early impressions of the handset, and who it might appeal to. Having tried the Samsung Galaxy S, which this phone's hardware is largely based on, I am more impressed by the Nexus S. One example of an improvement is the camera and LED flash combination which work well together. The Samsung Galaxy S series is, in large part, missing an LED flash. The curve of the display, which was talked up prior to the device's launch, is nothing major based on what I have seen so far, as I haven't noticeably benefited from it. Yesterday when I showed the Nexus S to Fabien, one of the heads of AndroidPIT, he remarked that the display seemed even better than the display in the Galaxy S. I have to say that I agree, and I think that improvement may be due to the support for 32-bit color which is new with Gingerbread. Quite arguably, one of the big selling points behind the Nexus S is that it comes with the latest version of the Android OS, Gingerbread. The improvements to the Android UI are fantastic, and while I won't go into a lot of detail now, I will say that Android feels so much easier to use than previous versions and looks much more polished than before. The Nexus S, like it's predecessor, the Nexus One, is not a phone for your average smartphone user. There are some aspects missing which plenty of people find inexcusable, such as the lack of a trackpad/trackball, no dual-core processor, no expandable microSD card storage, plastic outer casing, no FM radio support(currently), and lack of 4G communication. Almost every single one of those concerns are not shared by me. The lack of a trackpad/trackball for accurate selection of text in a text field is largely irrelevant now thanks to an improved means of selecting text using a yellow arrow. I find 16GB to be more than enough storage space for me, as I don't store feature length movies on my device. Even if the Nexus S only had 8GB of internal storage, my microSD card is only 8GB, so it would still be just 16GB in total anyways. The plastic backing on the Nexus S does feel somewhat slippery, but I keep it in a case most of the time because I'm a somewhat clumsy person. However, I have yet to experience any creaking or cracking noises coming from the backing, so it seems Samsung learned from the Galaxy S and improved upon the idea. In addition, the lighter weight of plastic as opposed to metal makes this phone feel very light in the hand. The wireless chip inside the Nexus S supports FM radio, but there is currently no support built into the ROM for an FM radio. I do find that somewhat annoying, as I enjoy listening to news and current music while on the go. I'm betting that Google will introduce official FM radio support for the Nexus S sometime next year, but even if they don't there will likely be a ROM made which will do that for us. 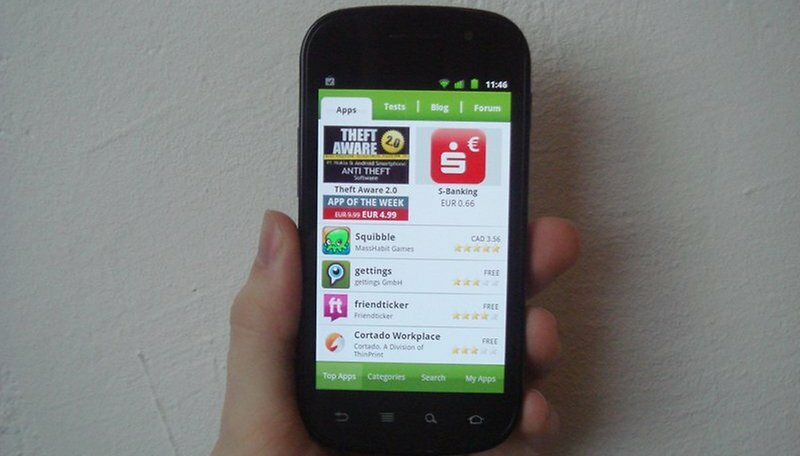 There were also rumors that the Nexus S would launch with a dual-core processor, but that rumor turned out to be false. Even if the Nexus S launched with a dual-core processor, Gingerbread, from what I have read, is not programmed to harness the power of a dual-core processor. That support should come with the launch of the first Honeycomb device, which may be a dual-core tablet. Finally, in regard to the lack of 4G (LTE, HSPA+, WiMax) support in the Nexus S, here in Europe, none of those technologies have been rolled out yet, so I'm not missing out on a higher data connection here by buying a phone with only a 3G radio. If you are in the market for a powerful Android handset with a 4 inch display which will have the latest versions of Android available on it (and can live without a microSD card and 3G connection) then the Nexus S is definitely a very strong contendor. This can already be illustrated by the fact that Nexus S users are already getting its first OTA update. The Nexus S doesn't bring with it any revolutionary hardware (aside from the not yet useful NFC chip). Instead, it feels to me more like a combination of lots of great hardware that is already on the market and the newest version of Android. Nexus 5 Nexus 5 get over it.